The global semiconductor market was valued at $463.5 billion in 2016 and is projected to reach $831.5 billion by 2024. The growth rate of semiconductor market is an estimated CAGR of 7.67% for the period of 2017 – 2024. Continuing and increasing investment in research and development, growing demand for consumer electronics, and evolving IOT market are all contributing to the market growth. From microprocessors, graphics processors, MCUs, memories, analog and RF device to various sensors and display panels, semiconductor products have become essential to virtually every modern technologies. Intellectual property used and developed in this space are some of the key areas where there are constant interest and movement. Serving our clients with their semiconductor related intellectual properties challenges is our focus. With its wide range and optimum combination of required expertise covering architecture, circuit, process and package technology area, TechPats can help our clients achieve their business and strategic goals with respect to their intellectual property. With the pace at which this industry is evolving, it takes a creative and flexible approach with agile execution to help our clients’ achieve their goals. Our continued effort in identifying new areas of focus and developing new capabilities to serve new market demands is crucial for our clients’ success. Supporting circuit patents requires extracting necessary circuit elements from a target device. Based on proper understanding of claim elements and limitations of a patent in question, TechPats can define necessary areas (whether it is a small circuitry from an I/O buffer or DLL block of a DDR4 SDRAM for example) to perform custom circuit extraction. Our circuit analysis covers broad range of product types and technologies including advanced processors, MCUs, PMIC, RF transceivers and memory devices to name a few. Supporting process patents requires various imaging including SEM, TEM, X-ray and materials analysis (EDX, SCM, SIMS etc) of a target device. Based on proper understanding of claim elements and limitations of a patent in question, TechPats can define necessary areas (transistors, metal interconnect or redistribution layer of a wafer level packaged device for example) to perform custom process analysis. Our circuit analysis covers broad range of product types and technologies including advanced processors, MCUs, PMIC, RF transceivers and memory devices from different process nodes. Supporting packaging patents becomes increasing important as 2.5D or 3D packaging, fan-out packaging and wafer-level packaging and high level of integration enables further integration beyond Moore’s law. Using various sample preparation, imaging and materials analysis techniques, TechPats can help its clients implement their IP strategies in this area. Analyzing materials in solder balls, investigation of redistribution layers, through silicon vias, lead frames, hermetic seal (wafer to wafer bonding) are some of the examples of packaging analysis. Our packaging analysis can cover broad range of product types including processors, MCUs, PMIC, RF transceivers and memory devices using various types of packaging techniques. Sometime, functional testing may provide a more efficient way to support certain patent claims. Multimedia processing, for example, can be done with functional testing: preparing input vectors (e.g audio files) and playing while capturing output could be helpful for some signal coding/decoding related patents. Investigating bus protocols with protocol analyzer or measuring power consumption under different operating modes are also good examples of functional testing use case. For cases where functional testing is required to support patent claims, TechPats can design an efficient functional test to generate functional inputs and observe and analyze output. Designing custom interposer to enable proper driving and monitoring of signals of interest and developing custom FPGA to conduct high speed testing is possible. Many patents require both hardware and certain algorithmic features which are often implemented in firmware. 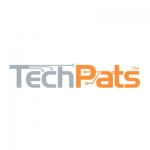 Based on understanding of various embedded systems and their operations, TechPats’ firmware analysis capability can extract a target device’ firmware and analyze it against claim elements of a patent. This help our clients unlock system level patents in areas where it would have been difficult to do. On top of our expertise in circuit, packaging, functional testing and firmware analysis, software analysis capability will help us provide service covering entire spectrum of any client’s business needs. Our experts cover broad ranges of subject matters and can help our client plan optimum IP analysis strategy by providing efficient and custom approach tailored to each client’s unique requirements.